When I opened up my email today, I received a Free eBook as a gift from Sunburst. My school district currently uses their Type to Learn 4 Program, so they sent me a gift in lieu of Digital Learning Day. I never knew how passionate Sunburst was about education until I read their new eBook. If you choose to read it, I hope that you find it useful and share it out, for the love of digital learning! Today, a nationwide celebration is taking place. This special day has been selected to educate the world on how digital education can provide both teachers and students with engaging and rewarding learning experiences. 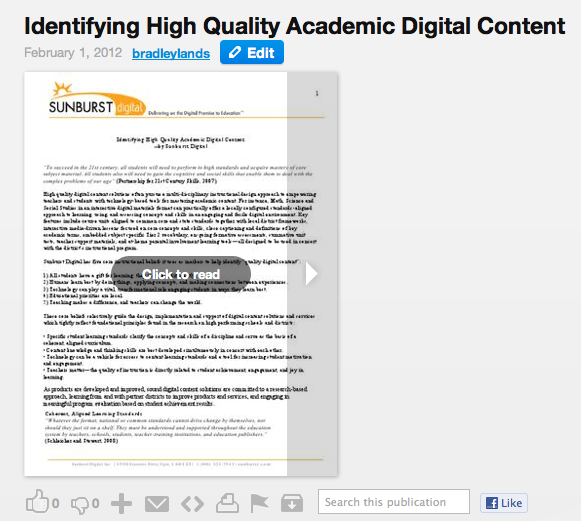 In recognition of the national event and to give you more insight into why we do what we do,Sunburst Digital is offering you this free eBook entitled "Identifying High Quality Academic Digital Content." For Digital Learning Day thousands of teachers, over one million students, and hundreds of school districts are banding together to show why they believe digital tools are vital in improving student achievement outcomes in today's ever-changing world. Digital Learning consists of well designed digital content solutions capable of promoting kids' critical thinking and at the same time supporting local instruction, building teacher capacity, and integrating existing classroom technology. In recent years, there has been an explosion of curriculum solutions capable of providing unique ways to inspire, engage, and motivate learners. Read more in the research based e-book about how teachers and administrators can identify digital solutions with impact. 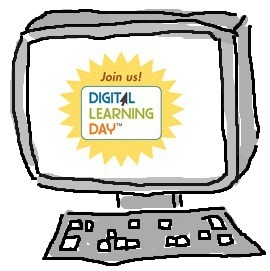 To Learn more about Digital Learning Day and to find out how you can get involved, please visit the Digital Learning Day homepage. Digital Learning Day is Tomorrow: Pass it on!